Can we please have it? Such simple statistic, people who need it will use it, those who dont want can turn it off. Its useful when you run full screen app with OSD and system clock is not visible. You can add that manually via RTSS settings, IIRC HWiNFO just integrates it's sensors labels/values as OSD items, else can be added manually. (12-07-2017, 07:49 AM)desgen Wrote: You can add that manually via RTSS settings, IIRC HWiNFO just integrates it's sensors labels/values as OSD items, else can be added manually. Hmm, that's not the interface that I remember. I'll install RTSS later and get back to you. If I can't find it, I'll play with a plugin that might be out there to see if it works. (12-09-2017, 06:02 PM)desgen Wrote: Hmm, that's not the interface that I remember. I'll install RTSS later and get back to you. If I can't find it, I'll play with a plugin that might be out there to see if it works. Keep in mind im using Standalone RTSS version with HWinfo only. 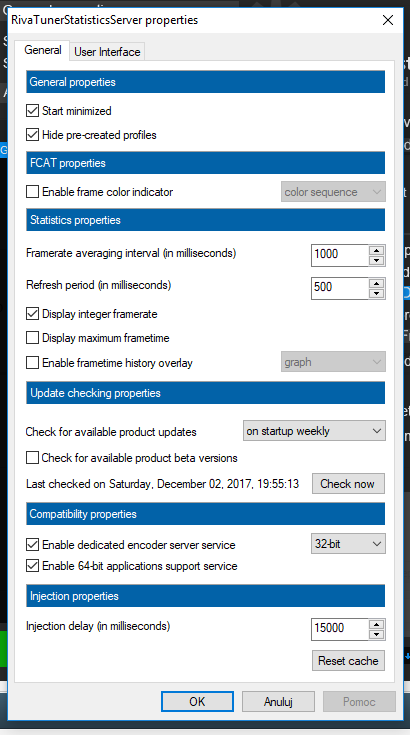 Im not running MSI Afterburner, which i know does have system time, but at this moment im not willing to run 3rd app just for OSD as my build does not use any MSI components.